Window treatments are usually thought of as decorative, though they also play an important role in protecting our furniture from heat or sunshine. So you’ve got to ask yourself: What’s protecting my window treatments? Unless you want to update your fabrics every few years (which is sometimes nice for a change of scene), there are a few things you can do to ensure your window treatments get the best possible care and have the longest possible life. Lining your curtains and drapes can give the fabric a longer lifespan, since the lining will help protect the window treatments from the sun. 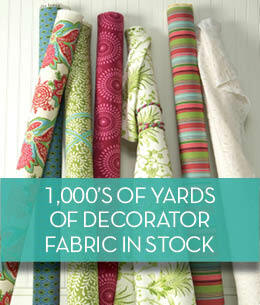 We can help you find great lining matches for the fabrics you choose in your room. 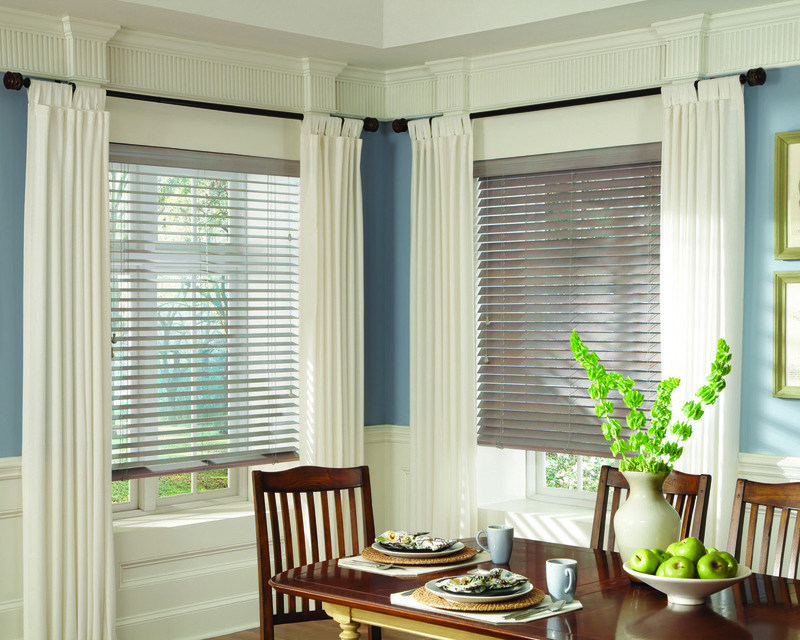 You may want to choose washable fabrics if you’re picking window treatments for a very active living space. Understanding how to wash and dry your specific window treatments will go a very long way in extending their lifetime. Usually, you’ll want to use low and delicate settings and refrain from machine drying window treatments, although your options will vary by case. If you dry clean, it’s best to choose a dry cleaner that specializes in window treatments. Another thing you don’t want to do is overwash your window treatments, since this may cause them to fade or fray. One way to keep them in good condition between cleanings is to shake them out regularly to free them of dirt and dust before it accumulates. You can also vacuum many fabrics, but it’s best to stick with a low setting. Similarly, consider spot-cleaning any spills or stains before fully dismantling your window treatments and washing them. If you’re able to care for smaller areas without regularly washing the entire swath of fabric, it can give your drapes and curtains longer life and greater vibrancy. Alternate options include steaming your window treatments or using canned air to clean them. Although it may seem old-fashioned, many people even take drapes outside to get fresh air and let the sun kill any dust mites—although you still need to be careful about overexposing your fabrics to the elements. Any of these options may work for you, but you should carefully look into them—or you can always ask us—before testing them out on your new window treatments.